You will receive the service at a requested occasion. You will pay the remainder of the fee within 7 days of the delivery of service. 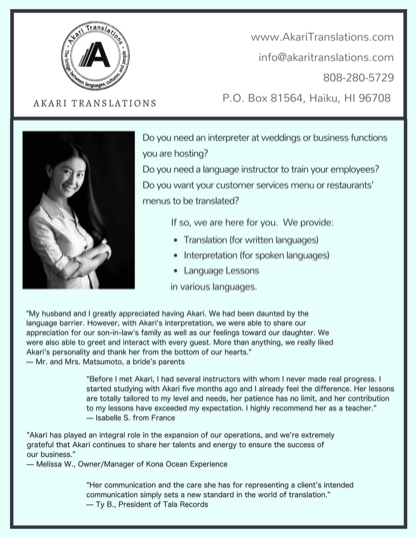 NOTE: In the event of cancellation, any expenses incurred by Akari Translations regarding the requested interpretation service shall be reimbursed (i.e., transportation, accommodation).